One of the key features of iOS 7 was that apps could finally do things in the background. While Apple has implemented background app refresh in such a way where it’s difficult for apps to continually drain your battery, you can fine-tune your preferences to help squeeze every bit of battery life out of your iOS device. 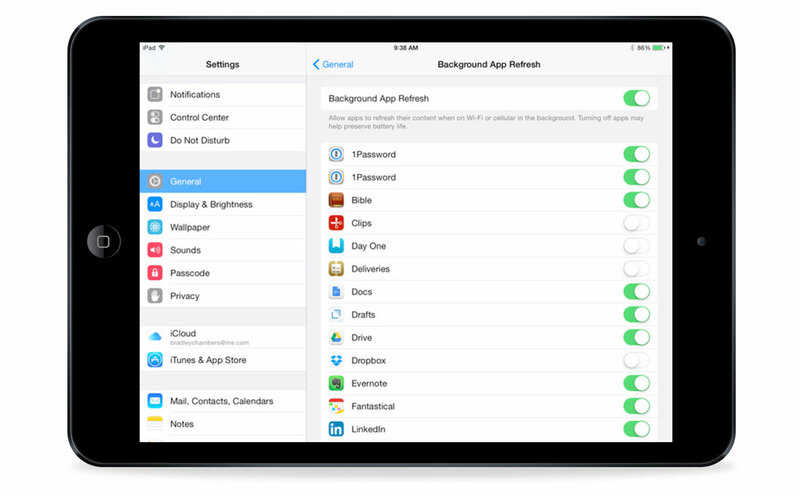 If you go to Settings → General → Background App Refresh, you’ll see a list of your apps. You can switch off the apps that you don’t want updating in the background. If you really want to save as much battery as possible, you can turn off the entire feature at the very top.